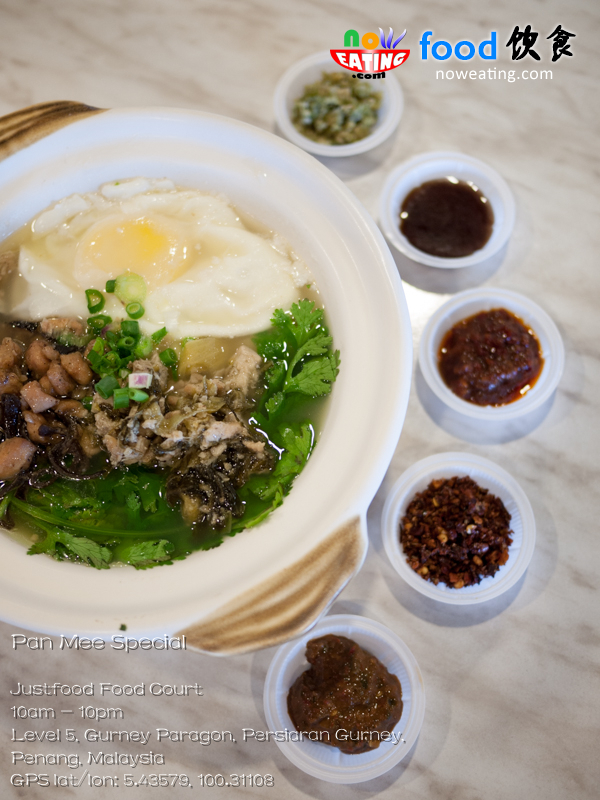 What2See – Best of Penang Food! NOW EATING is a non-profit personal blog written and managed by individuals. It does not in any way associate with or own by any company or association, including hotel, travel agent, shop and restaurant. The content is based on personal experience and preference. It can only work as a reference for readers at its best. NOW EATING does not responsible for any unforeseen event encountered by readers during their visit to respective point of interest. We, however, encourage readers to share their experience, regardless positive or negative one, through NOW EATING. Unless otherwise stated, all photos in NOW EATING are copyrighted. If you would like to reuse them in other social media/platform/website, please acknowledge the owner (noweating.com) by providing a backlink to noweating.com. Failure to do so may result your profile/company/website being reported to relevant body. Information is valid as of each post is written and may change without prior notice. Please contact the hotel/restaurant/shop/travel agent directly for latest information or reservation. Food court… first thing comes into my mind is not the delicious local cuisine at affordable price, but the disposable utensils used. Yes, I hate disposable chopsticks, fork, spoon, and plates very much but in order to save cost, many stalls still like to use them. Fortunately, my visit to Justfood food court at Gurney Paragon is a positive one. 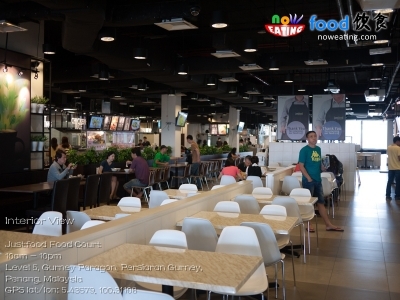 Many tourists like to visit Gurney food court located outside of Gurney Plaza. No doubt, it has all Penang food under one roof (or one sky since there is no roof). However, it is not in my list as they are using disposable utensils which in my opinion, are poisonous and hazard to health not to mention that the quality is at the lowest possible. Justfood, however, does not practice using disposable stuff and on top of that, the environment is quite hygienic with most staffs wearing mask when preparing food. 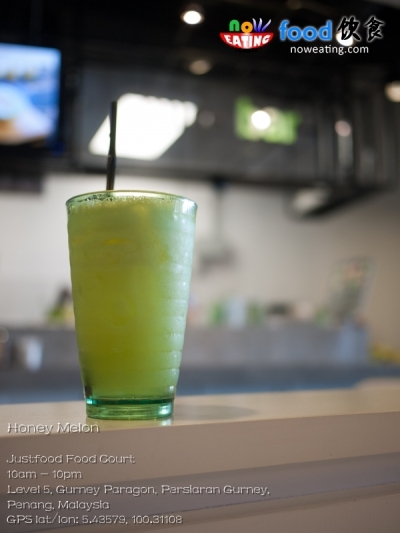 Previously, there was a complaint on Justfood such that the environment is very smokey. Since Gurney Paragon is considered as luxury shopping mall, no one is willing to has his/her cloth stained with food smell sitting on their BMW or Mercedes. During my visit last week, I noticed that the condition was improved even though there was still some odor when staffs are grilling food. 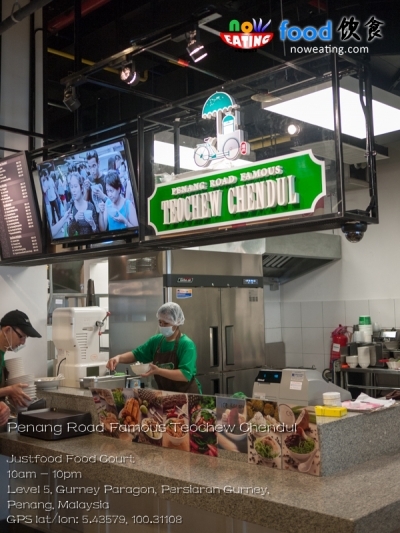 For Penangites, some stalls should not be a stranger even they never been to Justfood food court, such as Teowchew Chendul, Mat Toh Yau, and I Love Yoo stalls. Yes, they are branches of Penang’s famous food stalls. 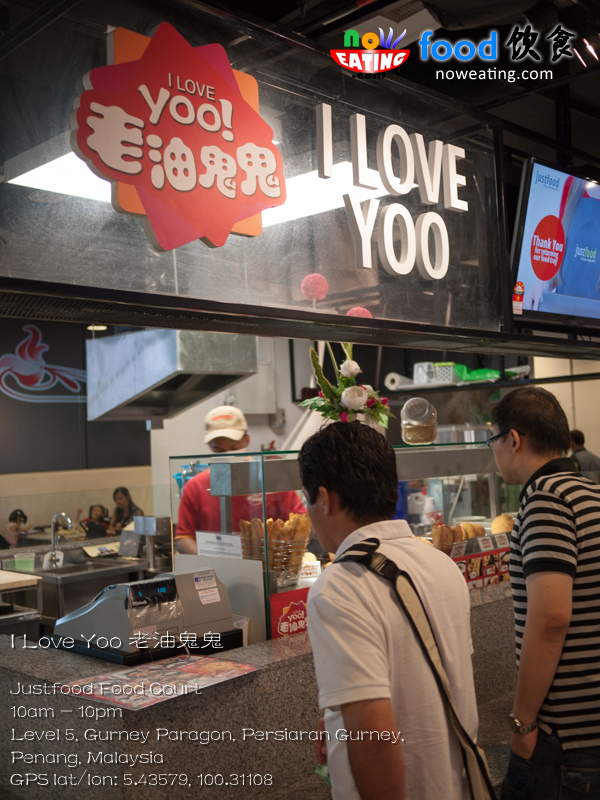 According to F&B manager, Alvin, the management is trying their best in attracting famous stalls to operate in Justfood so that not only customers are able to enjoy Penang famous food, but also from well-known brands. To kick off you day, perhaps one should begin with a set of porridge, soya milk, and Yoo Tiao (RM6.90). All of them are from the same I Love Yoo stall. How’s the food from the well-known brand tasted like? As a human, we have stereotyping mindset such that the food from HQ is always better than the branch. In my opinion, they tasted at most equally good compared to headquarter. Pricing-wise, expect at least one ringgit more expensive than hawker food in Penang. At the same time, some food portion is also bigger. 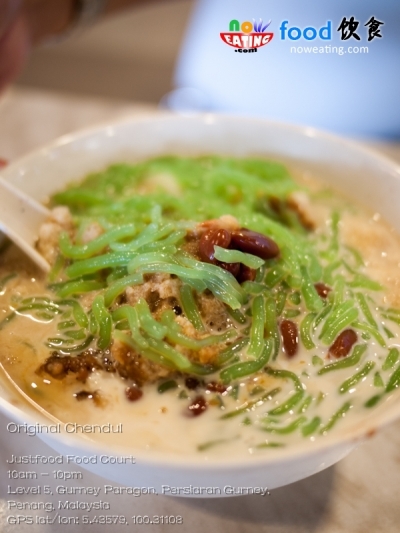 Chendul, for example, is bigger compared to HQ with slightly higher price tag (RM3.90). 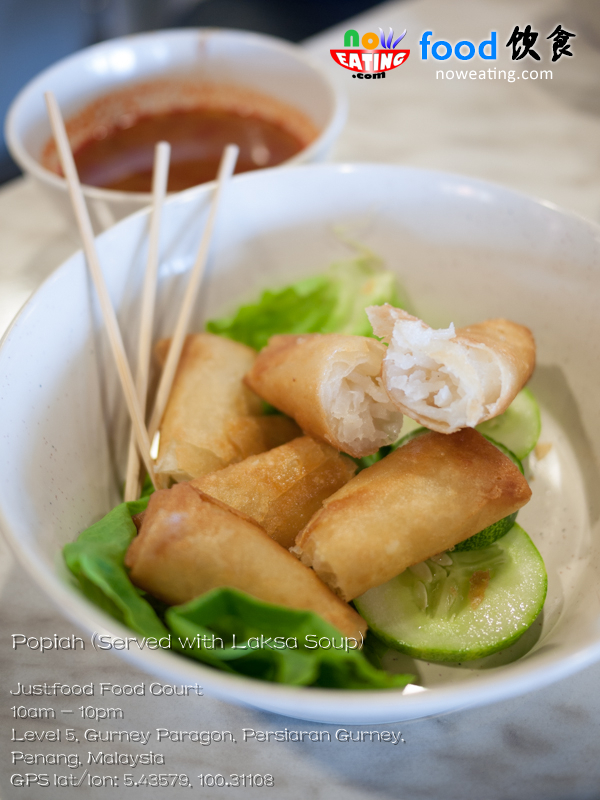 From the same Chendul stall, crispy Popiah (RM4.90) also available and it comes with Laksa soup for you to dip with. 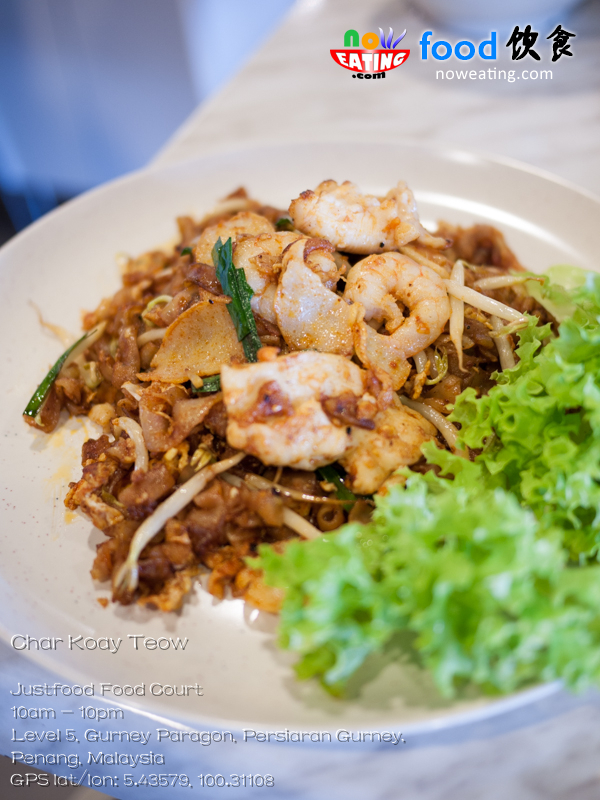 A local food worth trying is Char Koay Teow at Asian Kitchen. It tastes exceptionally well (with “wok hey”) considering it is a lard-free version. Plus, the price (RM6.90) is not expensive at all considering outside is selling RM6.00 with much smaller portion. One stall which caught my attention was Mr. Shawerma – a stall serving middle-eastern cuisine. According to the F&B manager, it is the second branch from Pavilion KL. Shawerma/Shawarma is an Arabic meat preparation in which meats are placed on spit and grilled for as long as a day. A Doner kebab (rotating kebab) can be seen and most of the time the middle-eastern crews are busy slicing the chicken kebab. If you are standing there long enough watching them slicing kabab, they may give you a free sample to try out (seriously, I got one myself when taking photos). Kebab is best consumed when hot. If you left the food for too long, the chicken will lose its tenderness and juiciness. The mayonnaise dip works well with kebab. 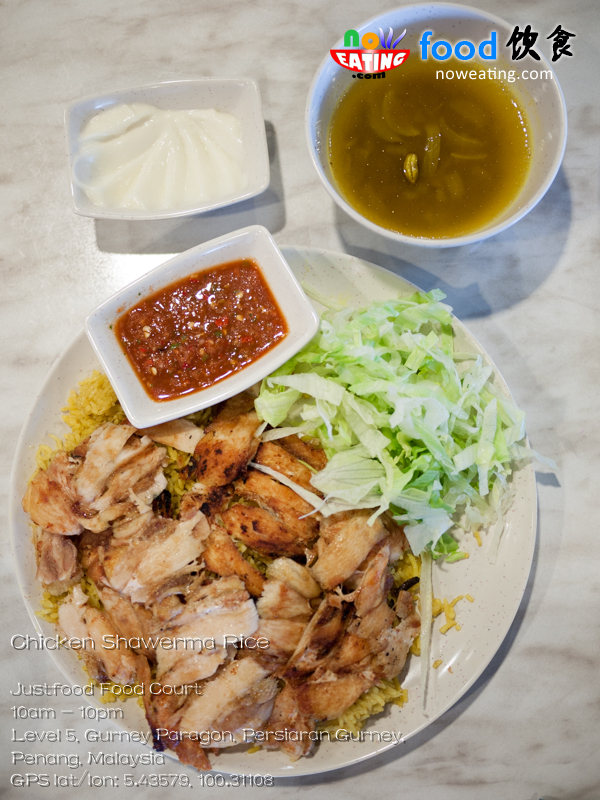 Photo above shows Chicken Shawerma Rice (RM13.90). Muhammara (RM6.90) a hot pepper dip originated from Syria. 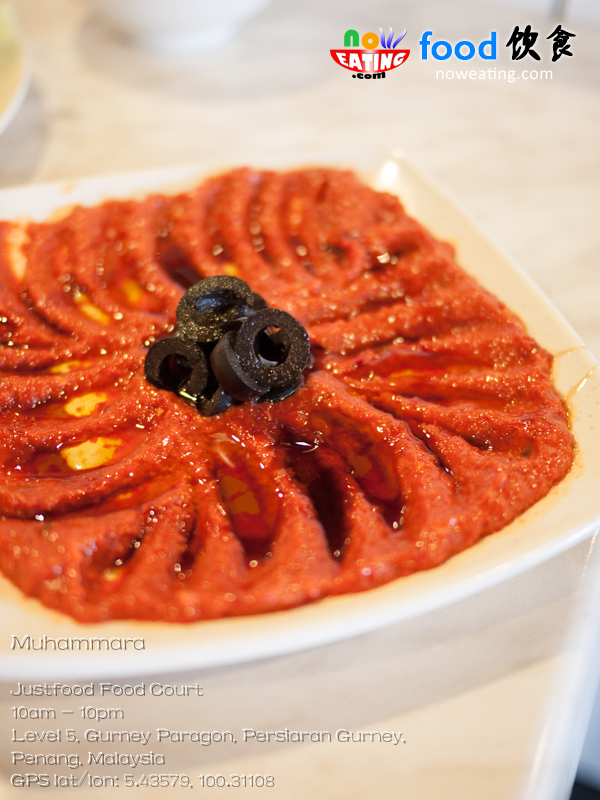 Topped with olive oil and served with a pita bread, the dip also works well as Kebab sauce. Even though it looks spicy, it is not and tastes a bit sour. Eating it alone may get irritating quite fast due to oiliness. Personally, I prefer to consume it with kebab wrapped in pita bread. We also ordered Pan Mee Special (RM8.90) from P.P. Noodle Station. It consists of Coriander, chicken cubes, sweetened mustard, and egg in a claypot. 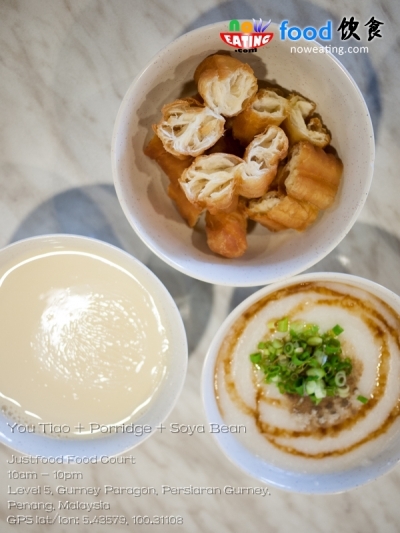 The soup is a bit plain without beating the egg yolk. Still, rather special compared to normal pan mee served with anchovy. 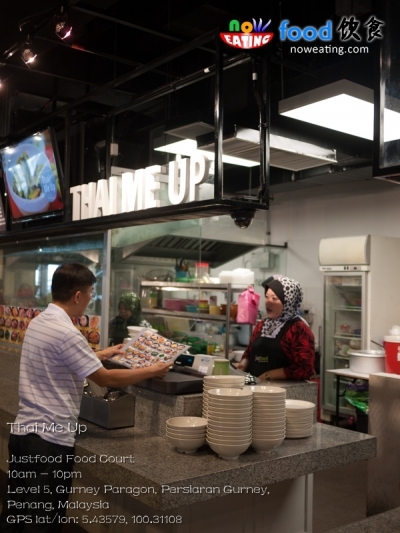 Thai Me Up is a stall usually with long queue. 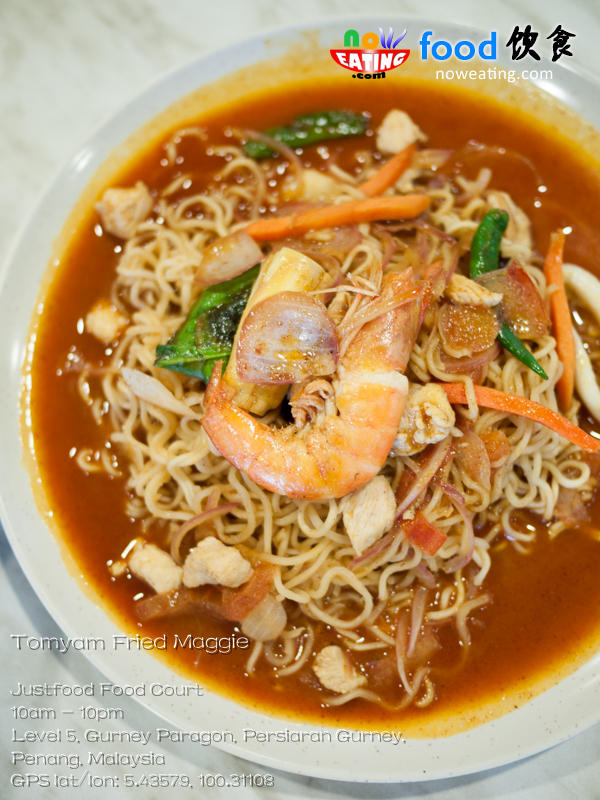 Tomyam Fried Maggie (RM6.50) is one of their best sellers. It has thick Tomyam sauce and tastes quite sour. Last but not least, I had myself a glass of Honey Melon (RM4.50) – a mixture of honeydew with added honey to enhance its sweetness. It is available at Juice Bar stall. 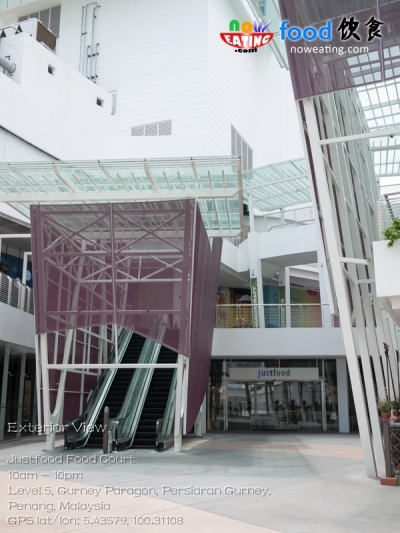 Justfood food court is a pork-free food court with hygienic environment and some well-known branches MINUS the disposable utensils usually found in hawker centers. If you are looking for quality quick meal while shopping in Gurney Paragon, this can be the place. 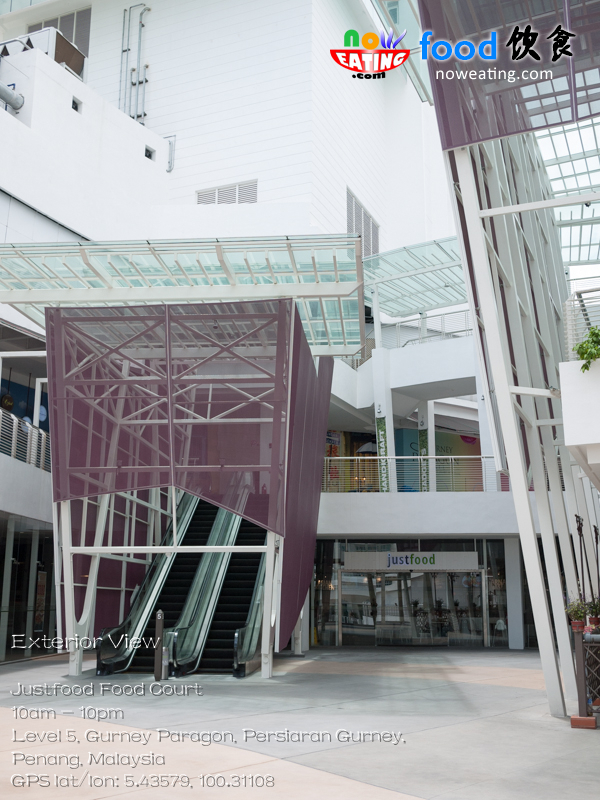 Special thanks to F&B manager – Alvin Loh for his hospitality during our visit to Justfood food court.